YouTubeFootage captured off of a monitor, not representative of the actual game. 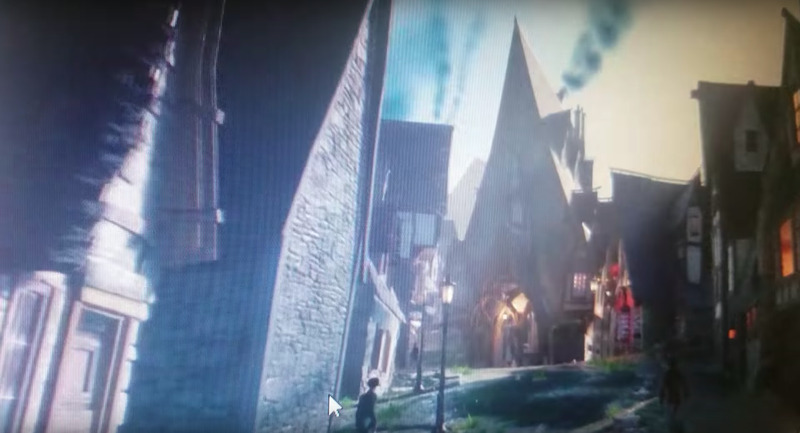 A new game set in the world of Harry Potter was seemingly revealed in a leaked video overnight. The video was posted by a Reddit user who claims to have seen the game in a mall focus group. The game appears to be a third-person action RPG set in the world of Harry Potter, featuring combat and much more. A new game set in the world of Harry Potter debuted overnight, albeit through leaked footage that popped up on Reddit. 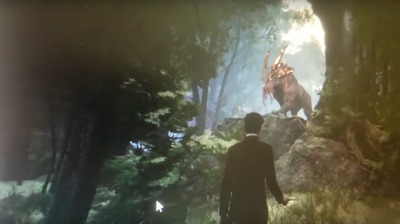 Such is the story of the origins of this leaked trailer, captured off of a screen – thus the low quality image seen above. There also appears to be a mouse cursor hovering over the video as it plays. The lower right corner is blurred, obfuscating some type of potentially incriminating information. The game appears to be a third-person action game set in the world of Harry Potter, and iconic locations – like Hogwarts and Diagon Alley – both make appearances. A description alongside the video calls the game a “third-person open-world action/RPG.” To that end, a character creation screen is shown – a staple of RPG-style games. Button prompts in the video indicate the game will be available on Xbox One and/or PC. That is, of course, if the game is still an existing project in development. The origins of the YouTube video are strange to say the least. For its part, Warner Bros. hasn’t responded to a request for comment. No such game in the Harry Potter fiction has been announced, but a new film is on the way – “Fantastic Beasts: The Crimes of Grindelwald,” the second in the “Fantastic Beasts” series, is scheduled to arrive this November. The full leaked trailer of the game was taken down from YouTube shortly after this was published. According to the notice, a copyright claim was filed by none other than Warner Brothers Interactive Entertainment – the game publishing arm of Warner Bros.